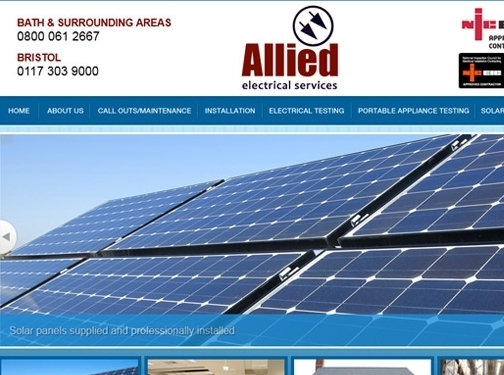 Allied Electrical Services provide electrical services to customers in Bristol, Bath and the surrounding areas. They can offer installations and maintenance for all of your electrical needs, including fire alarm systems, solar panels, appliance testing and much more. UK (Pucklechurch, Bristol) based company providing electrical services. Website includes details of services provided, accreditations, certifications, geographical areas covered, testimonials, full company contact details. Company website has been online since 2007 according to web.archive.org.